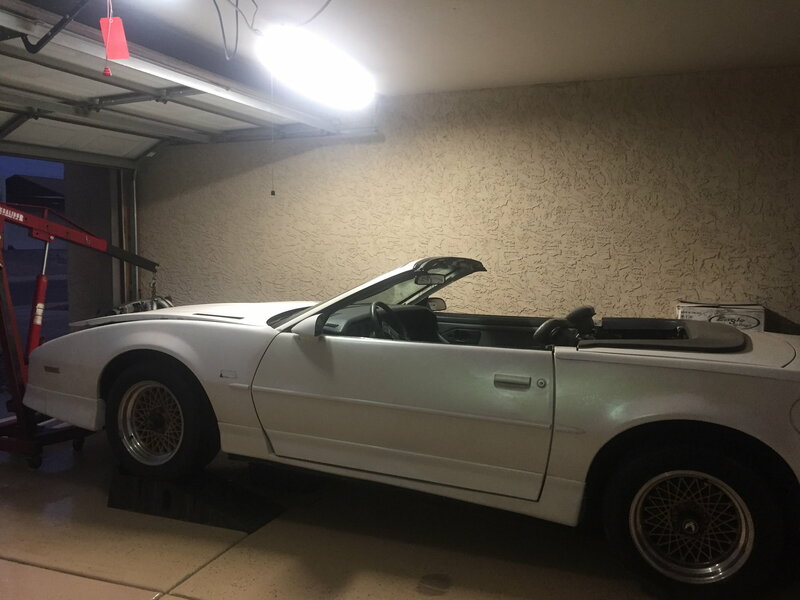 So after all the fuss of finding an LS2, I decided to plant that in my 70 and pick up a super low mileage L98 to replace the tired power plant in my Gta. There are some obvious differences between the two so if you have some knowledge on what I need to swap between the two I’d appreciate it. From what I see so far my accessory drive, water pump, EGR And Map sensor are different. Fuel rails are different in how the lines connect, so those will need to be swapped. You covered the MAP vs. MAF setup, Accessory drive is different (the whole front dress, in fact), plus the distributor is different, with the F-Body having an external coil. Basically, you can use the long block, swapping the distributor and drive accessories, then removing MAP Sensor items and EGR will need to be changed over, too. What else? Water neck is different, too. 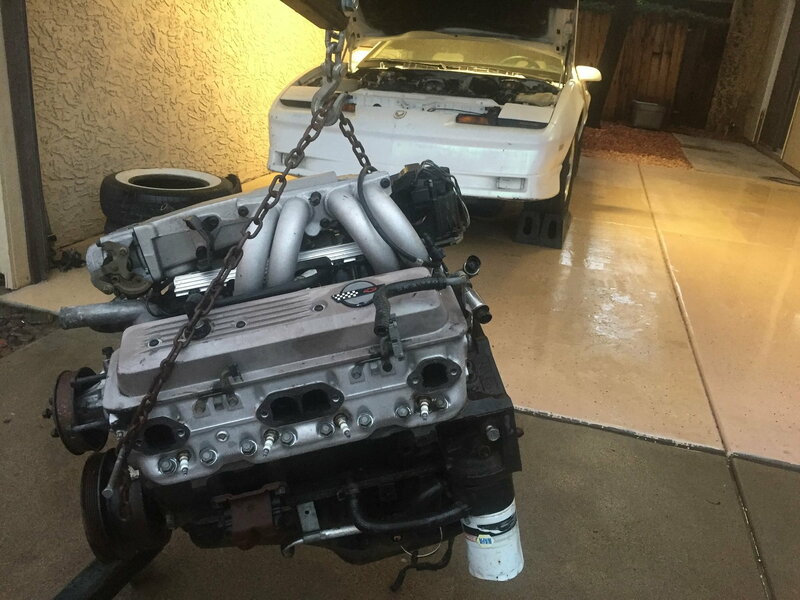 Like I said, use the long block and swap over the manifold, etc. 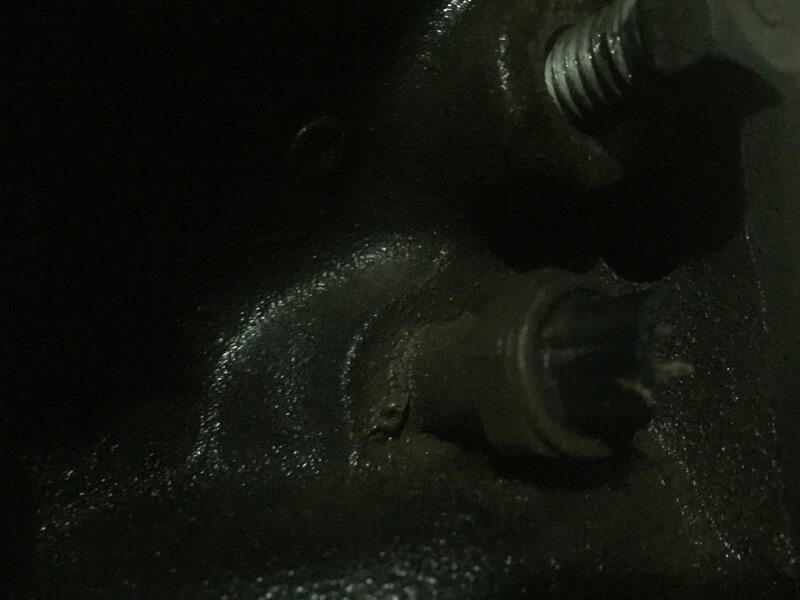 Oh, and the bolt patten on the manifold might need to be altered due to aluminum heads vs. iron. The water neck is the same between two. swap over the fuel rail and plenum if desired the 91 only difference from 89 is the map boss. The accessory drive will swap over but you need to drill and tap the stud on the passengers side head. Don’t forget to tune. 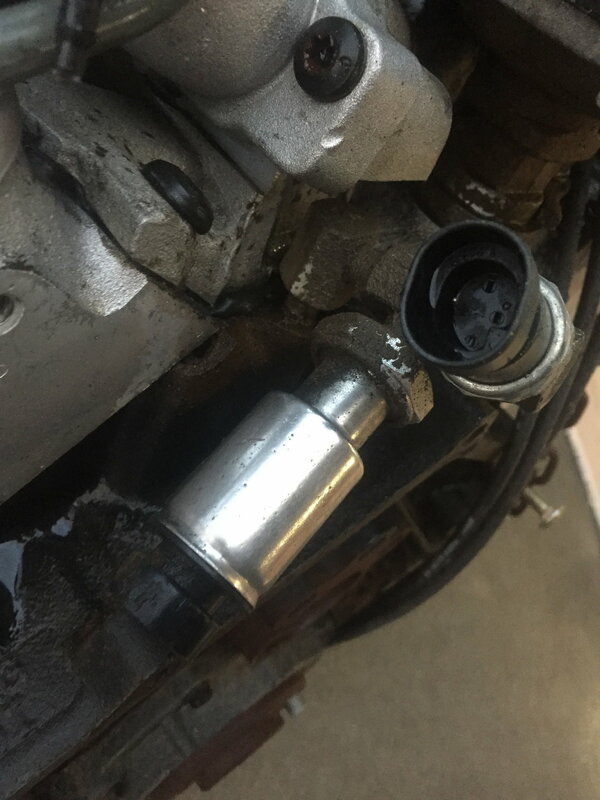 Arap code would work well as tune just disable vats.The intake has a rear coolant crossover and you should just plug the steam return pipe with a 1/8 npt plug. The egr is rear feed and will not work on the internal passage on the 113 heads. To retain it you would need a pipe from your passengers header/manifold. Your right on the water pump it’s a short version. 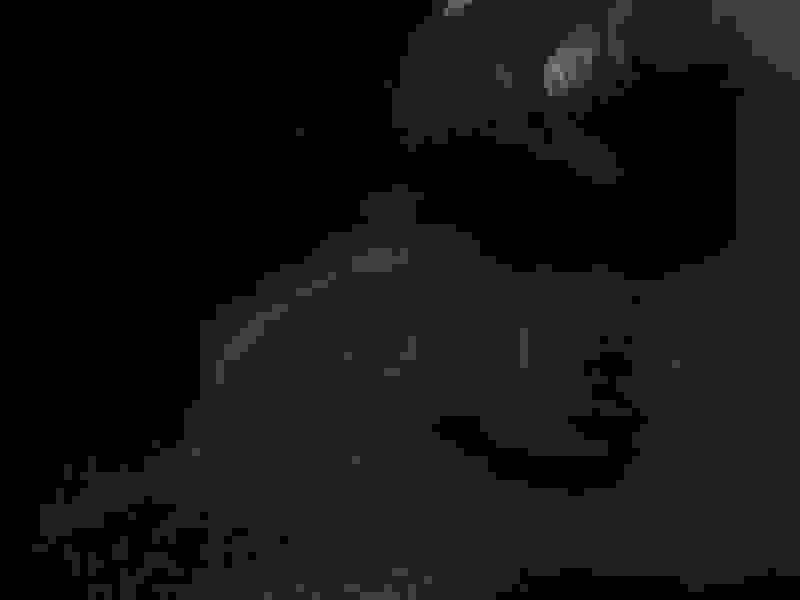 Last edited by Tuned Performance; 01-06-2019 at 06:24 PM. what’s this bundle of joy? That’s the oil pressure switch and gauge sender. Your might have it above the oil filter. Check the vette block it might have the same port blocked with a 1/4 npt plug. It seems straight forward for the most part.. Once I pull the old engine I’ll do a side by side comparison and ask questions when needed. If you use the devorced hei coil you will need to notch the lower bracket to clear the coolant port boss. If I recall correctly. the other thing on the plenum is the vacuum booster fitting is different and can be swapped from the 89. Last edited by Tuned Performance; 01-06-2019 at 06:56 PM. The vette might have 3 senders. Oil pressure for the fuel pump, one for gauge oil pressure and one for oil temperature.I didn’t see it mentioned above but your oil pan and pickup needs to be changed. the piece above the oil filter the oil cooler can go. Last edited by Tuned Performance; 01-06-2019 at 07:35 PM. Did the Vettes use a different head LH/RH? or were they both the same part number? Texas Fbody Assoc. Summer Event!! Fbody Picnic - 7/22/06!! !